Today, I was reflecting over my connection to Maya Angelou. 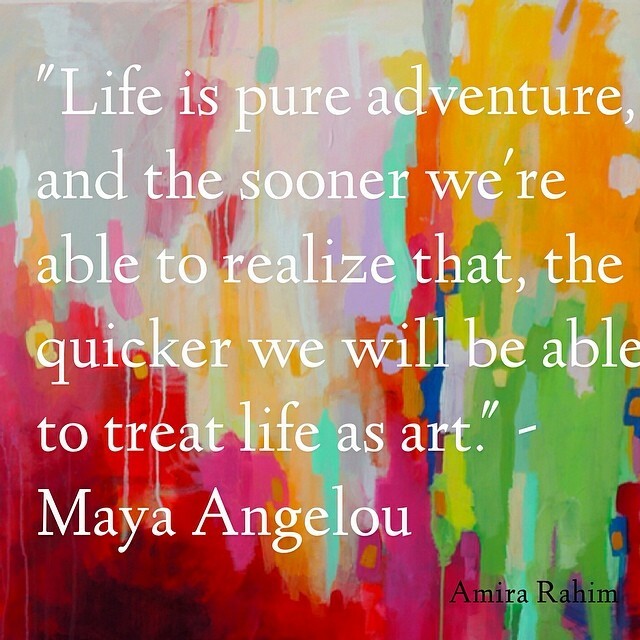 Saddened by her passing, I searched for inspirational quotes of hers and landed on this one, which I placed over my painting “Electra Street.” I hope you guys enjoy her words. In high school we recited her poems. Our mothers collected her wisdom and passed it down for us to read in our maturity. Her stories made us embrace her, and her speeches made us embrace ourselves. What a woman, what a human being.